A migraine is a recurring moderate to severe headache which can cause painful throbbing or pulsing in one area of the head. In most cases a migraine will last 2-72 hours with sensory warning signs such as blind spots, vomiting, tingling in the arms, photophobia (sensitivity to light), phonophobia (sensitivity to sound), and flashes of light. Get out of the darkness! If you are experiencing migraines, there is help! Medications, along with lifestyle changes can make a difference. Contact the physicians of Dominion Internal Medicine @ 540-878-5408 for expert diagnosis and available treatment options. Our goal is to treat each and every patient with the highest standard of care and help you achieve the most desirable outcome. Now accepting new patients! Most Insurances accepted. May is National High Blood Pressure Month! High blood pressure, also known as hypertension is a chronic medical condition in which the blood pressure in the arteries is elevated. If this pressure goes undetected overtime it has the potential to damage the body in many ways. In this article http://www.nhlbi.nih.gov/health/health-topics/topics/hbp/ from the National Heart, Lung, and Blood Institute it shows about 1 in 3 adults has high blood pressure. You can have high blood pressure for years and never know it as high blood pressure does not always cause symptoms. It’s important to know your numbers even if you feel great! Systolic number (Top Number) – This number is the blood pressure reading when the heart beats while pumping blood. Diastolic number (Bottom Number) – This number is the blood pressure reading when the heart is at rest between beats. 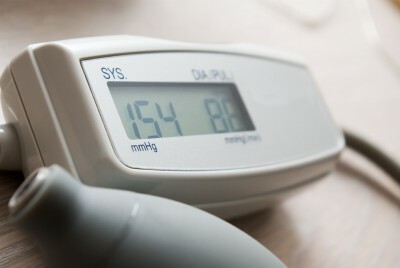 High blood pressure tends to develop with age. Living a healthy lifestyle will help some delay or prevent this rise in blood pressure. If you do have high blood pressure it’s important to maintain a healthy lifestyle, monitor your pressure with visits to your doctor and following your treatment plan. For more information on high blood pressure please contact the expert physicians of Dominion Internal Medicine @ (540) 878-5408. Bacterial pink eye infections are most often caused by Staphylococci (Staph Infection) and Streptococci (Strep). Typically, symptoms will occur in one eye and spread to the other eye in a matter of days. A bacterial infection is rare but will require antibiotics for treatment. Viral is the most widespread type of pink eye and is caused by an infection of the upper respiratory tract, the common cold, and/or a sore throat. While viral pink eye may not require antibiotics it is important to see your doctor for proper diagnosis and treatment. 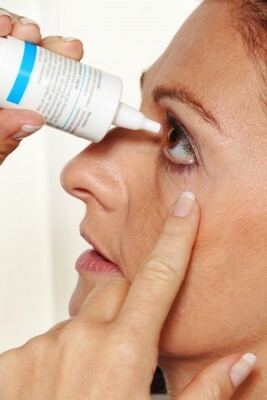 Dry air, smoke, chemicals and other allergens can also cause pinkeye. Viral pink eye is extremely contagious. Here are some helpful tips from http://www.cdc.gov/conjunctivitis/about/prevention.html for preventing the spread of pink eye. If you think you have pink eye please call a doctor. Dr. Jennifer Ackerman, Dr. Michael Ackerman, and Dr. Robert Lin of Dominion Internal Medicine will diagnose and develop a treatment option that is best for you! Now accepting new patients! Most Insurances accepted. Please call (540) 341-1475 or visit http://www.dominioninternalmedicine.com/ for more information. Are you 50 or older? Have you had had a colon screening? If the answer is no, it’s time to get serious. Colorectal cancer can sneak up on a body without having any symptoms. That’s why it’s critical to talk with your doctor if you are 50 or older. Your health care provider will determine when and what kind of testing should be conducted based on age, family history, and symptoms. Colorectal cancer can be treated successfully if caught in the early stages. If you are having any of these symptoms it does not mean you have cancer. There are several other health problems that can cause the same symptoms. However, it’s important to talk with your doctor to rule out colorectal cancer. Please contact our experts at (540) 878-5408 to schedule an appointment or for more information. Most insurances accepted! Springtime is here. 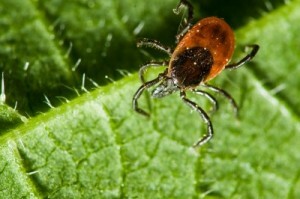 While we begin to enjoy the beauty of spring, we need to protect ourselves from Lyme disease. Lyme disease is a bacterial infection that is spread by black legged ticks. In this article from The Center for Disease Control it shows in 2009 there were almost 30,000 confirmed cases in the United States. If you experience any of the above symptoms please contact your doctor. Dr. Jennifer Ackerman, Dr. Michael Ackerman and Dr. Robert Lin of Dominion Internal Medicine are expert internist’s who will collect your medical history and perform a physical exam to determine if you are infected with this often hard to detect disease. For more information or to schedule an appointment please contact our specialists @ 540.347.5408. Now accepting CareFirst. Depression is not always a psychiatric disorder. It is a normal reaction to life’s happenings, symptoms of certain medical conditions, and also a side effect of some medical treatments. It may also be associated with clinical depression. 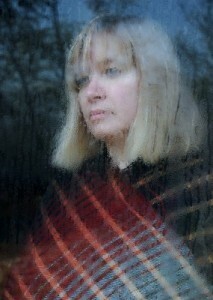 If depression is left untreated your condition may worsen and last for a very long time! If you are searching for wholeness in your life the physicians of Dominion Internal Medicine can help. They will provide you with a full physical assessment and thorough evaluation of your symptoms to help determine the cause of your depression. This will include blood testing to rule out other possible culprits. Please call our office at 540.878.5408 to schedule an appointment. 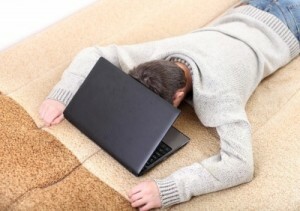 Is Fatigue Running Your Life? CFS is a debilitating and difficult disorder characterized by extreme fatigue that is not improved with bed rest and actually worsens with physical or mental activities. If you are experiencing any of these symptoms please see a doctor. CFS is manageable with simple lifestyle changes or medication may be prescribed. Dr. Jennifer Ackerman, Dr. Michael Ackerman, and Dr. Robert Lin of Dominion Internal Medicine are experienced internists who will help you get to the heart of your fatigue with close communication with you – the patient, and develop a treatment plan that will benefit you the most. If you would like to schedule an appointment or simply for more information please contact our offices @ (540) 878-5408. What is a kidney stone? 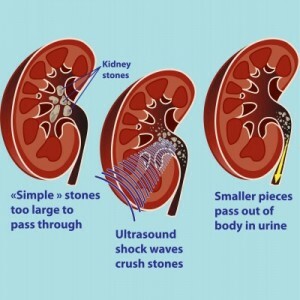 A kidney stone is a solid concretion or crystal aggregation formed in the kidneys from dietary minerals in the urine. Pain most commonly felt in the side and the back, between the ribs and hip. If you are having any of the following symptoms it’s time to see a physician. Don’t wait for your condition and the pain to worsen. Contact Dominion Internal Medicine today @ (540) 878-5408. Dr. Jennifer Ackerman, Dr. Michael Ackerman, and Dr. Robert Lin specialize in all Nephrology disorders and will diagnose and develop a treatment plan that is just right for you. Most insurances accepted! Now accepting CareFirst! Should you see an Internist? Internal Medicine physicians specialize and utilize their clinical expertise to diagnose and treat adolescents, adults, and elderly as well. Jennifer Ackerman, Michael Ackerman, and Robert Lin of Dominion Internal Medicine specialize in complete body wellness, disease prevention, and supervision of chronic conditions and illnesses in a friendly, relaxed office based setting. Call our office @ (540) 878-5408 for more information on how we can help you. Heart Disease is the number one cause of death for men and women. The good news is it’s treatable and preventable with some alternative lifestyle changes. Call Dominion Internal Medicine today @ (540) 878-5408 for same day appointments and take the challenge to take care of your heart.